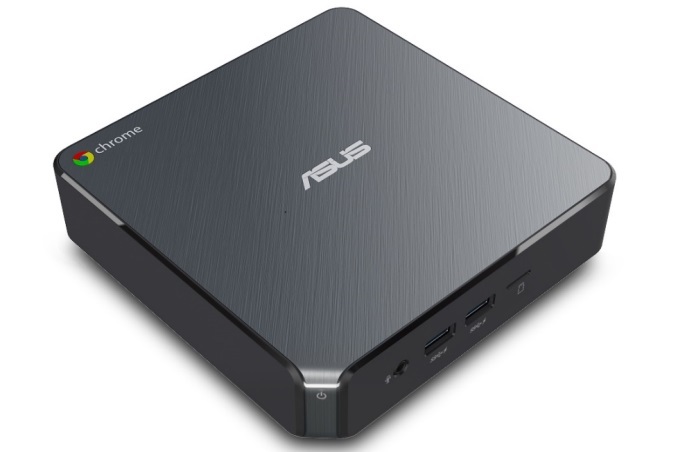 LAS VEGAS, NV — ASUS today has announced its latest small form factor products with its PB40 and PN40 adding to its existing VivoMini and ROG GR8 II selections, a Chromebox 3 supplanting the Chromebox 2, as well as an updated Tinkerboard S. ASUS says the year’s innovations offer compactness and versatility for a variety of usage scenarios without compromising quality or performance. The PN40 and PB40 mini PCs size and performance allow users to utilize the power of a computer with the convenience of a compact and portable device. The PB40, the more powerful of the two, will support up to an 8th Generation Intel Pentium Silver processors. The latest model comes in two variants, N5000 quad-core, up to 2.7 GHz burst frequency with a 6W TDP or the J5005, also a quad-core, but bursting frequency is up to 2.8 GHz while fitting under a 10W TDP. The PB40 also has a lot of connectivity with up to six USB 3.1 (5 Gbps) Type-C ports and a flexible IO port design with VGA/DisplayPort/COM/HDMI support. The PB40 is in a black metallic chassis and is offered in a fanless design with Intel Celeron processors for silent operation. It also supports optional stackable models, for example, optical drives, to save space. 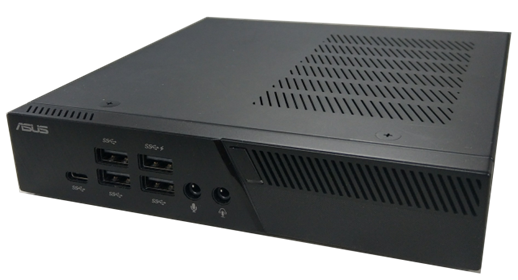 The PN40 mini PC will support up to 8th Generation Intel Pentium Silver and Celeron processors and uses a sliding bottom case design for easy access to the internals. 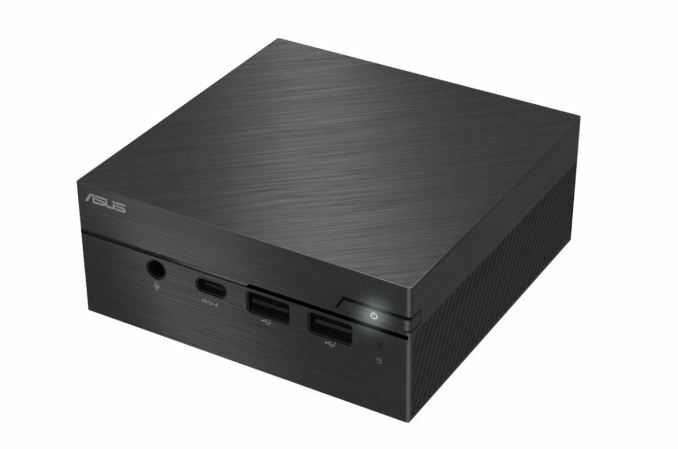 The PN40 mini PC measures at just 4.4” x 4.4” x 1.9” and weighs 1.54lbs. It offers connectivity options to include USB 3.1 (5 Gbps) Type-C and changeable IO port for VGA or COM support. Both the PB40 and PN40 will be available in the 1H 2018 with pricing announced at launch. ASUS announces its new Chromebox 3, the successor of the Chromebox 2 released back in 2016 The Chromebox 3 announced today will be the successor to the Chromebox 2. 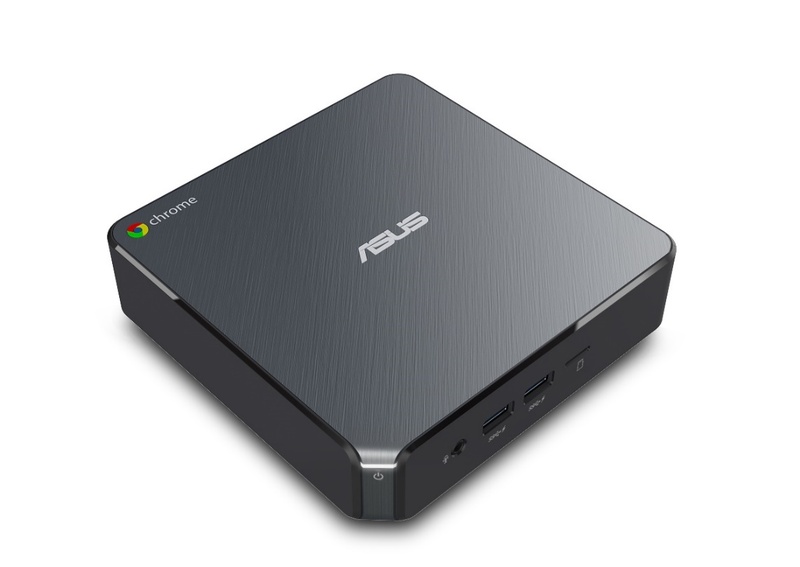 The latest version of this small form factor PC running the Google Chrome OS bumps up from the Intel Core 5th Generation processor to an 8th Generation Intel Core processor along with DDR4 2400 Memory. This change will improve processing and graphics performance as well as save on power compared to the Broadwell U based Celeron 3205U in the Chromebox 2. The Chromebox 3 will now include a USB 3.1 (5 Gbps) Type-C connector added to its connectivity of Gigabit LAN, HDMI and DisplayPort, USB 3.0 ports, card reader, and an audio jack. Wireless connectivity is dual-band 802.11ac Wi-Fi and Bluetooth. The specific processors available will be named at a later date as they are unreleased, but would imagine it to bump up to a quad-core Celeron of some sort with improved integrated graphics. ASUS did mention memory options will be available from 4GB expandable to 16GB while 'mass' storage starts at 32GB expandable to 128GB. There are some slight change in appearance with the chassis looking like it received a brushed finish on it compared to the matte on the previous model. ASUS will share pricing on this diminutive Chrome OS-based machine closer to launch within the 1H 2018. The previous model came in at $200 so we expect it to be around that point if not a bit higher. For those who enjoy messing around with small single-board computers, ASUS has new Tinker Board in town, named Tinker Board S. The Tinker Board S is the same board size and uses the same component placement of the original to retain maximum compatibility for previous installations. The S version comes with the Cortex-A17 Quad-core processor found in the previous version. 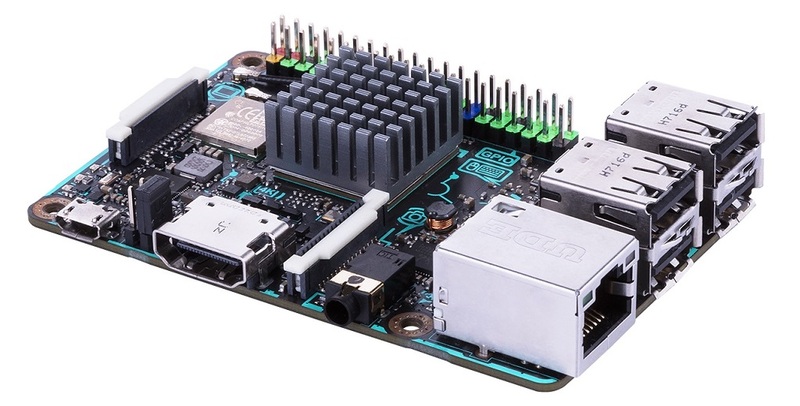 The Tinker Board S will feature 2GB of Dual-channel LPDDR3 Memory and 16GB of Onboard eMMC storage, wireless 802.11b.g.n, and Bluetooth 4.0 + EDR, while a Gigabit LAN port handles wired connectivity. Another notable difference is the S version now has four USB 2.0 ports versus two on the previous model. There are so many things to do with these little board from learning programming to smart devices. ASUS showcased the processor, memory, and I/O speed of the Tinker Board S with Matrix Creator (fully featured development board including sensors, wireless comms, and an FPGS, to quickly prototype hardware applications. There is also a second demonstration highlighting the 192 KHz audio output and support for DAC add-on cards to improve the audio. Pricing will be announced at launch which is expected to be 1H 2018.